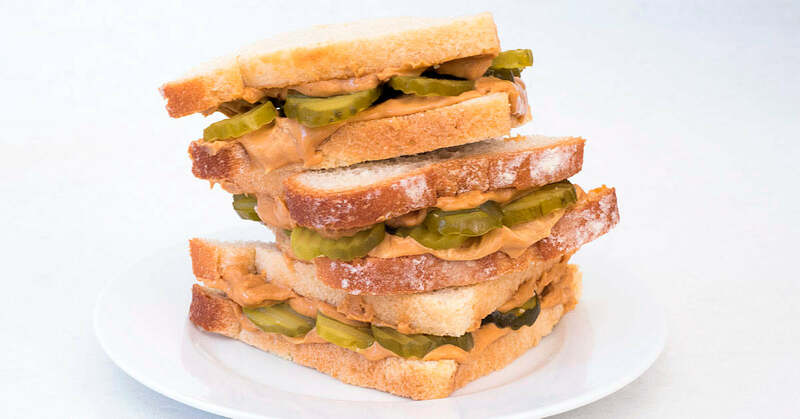 We admit this peanut butter and pickle sandwich might sound strange, and the first time a woman ordered it, we couldn’t quite believe it ourselves. She was pregnant and two weeks past due and said she had this craving. We were relieved to hear that she gave birth to a healthy baby boy the following day. Was it the sandwich that finally did it? No one knows for sure, but this combination has become a favorite. 1. Spread the peanut butter on one side of each slice of bread. 2. 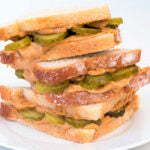 Lay the pickles on the peanut butter on one slice of bread and top with the other slice, peanut butter side down. 3. Slice in half diagonally. The post Peanut Butter & Co. Sandwich Shop: The Pregnant Lady appeared first on - Peanut Butter & Co. Recipe Blog.